Only the coolest, largest tulip farm in Texas. It is basically a huge tulip farm that welcomes people to pick tulips for $2.50/stem (2018 pricing). 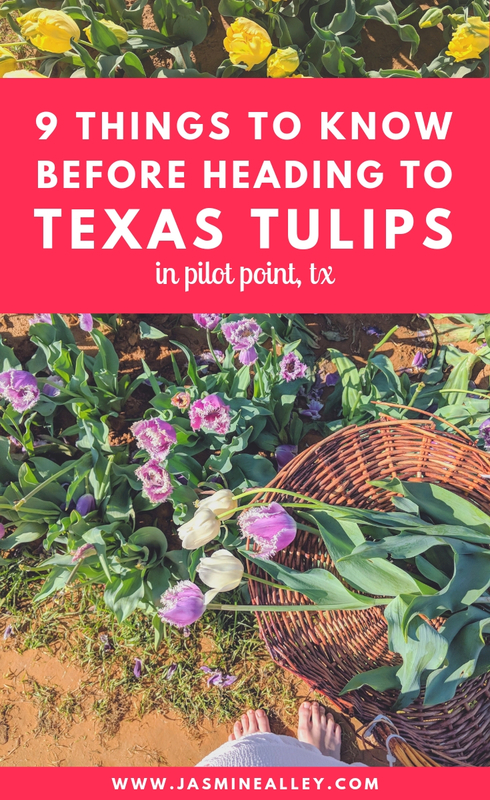 Most tulip farms are in the northwest, but this magical place is right here in Texas. 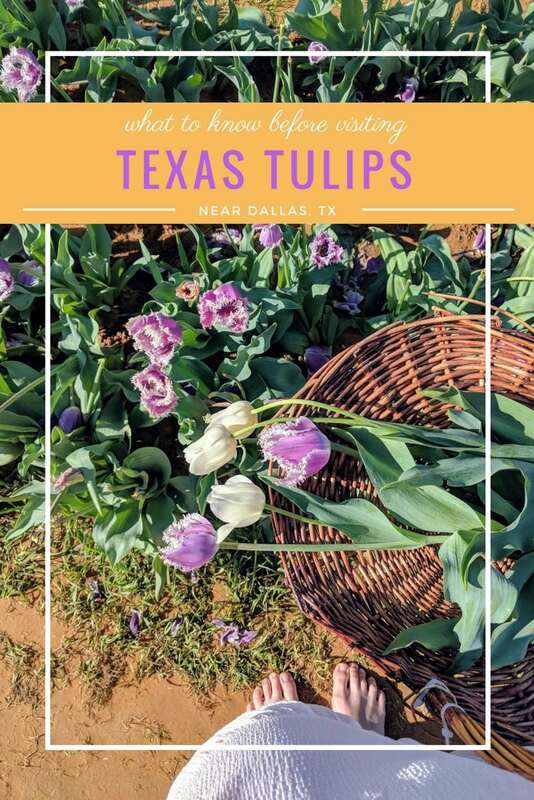 My husband, Harrison, took me to Texas Tulips for our 3-year marriage anniversary and it was such a lovely way to spend the day! We left Dallas around four-o-clock on a Tuesday and embarked on the one hour drive to Pilot Point, TX for the very last day of Texas Tulips! 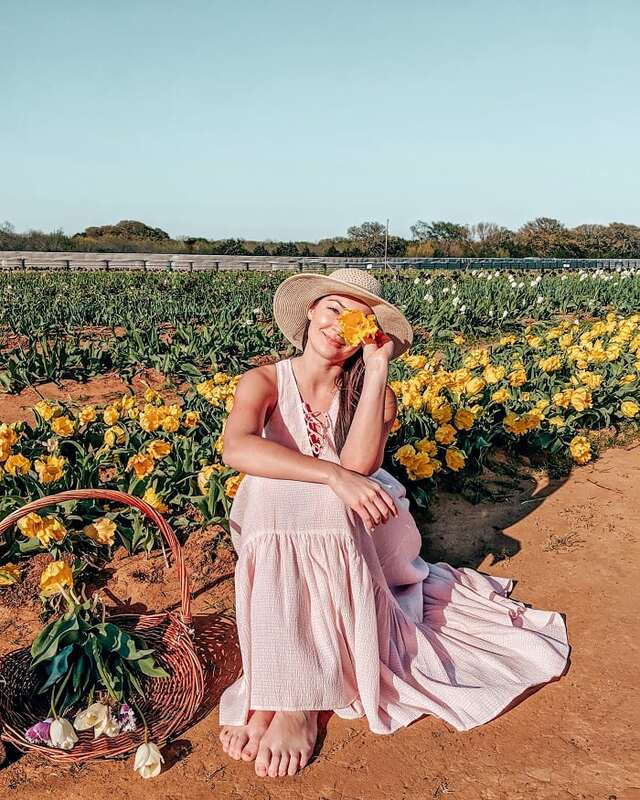 Run by a Dutch family who migrated to Texas to start their tulip farm, this place is a flower-lovers haven. Here are nine things you’ll find at Texas Tulips in Pilot Point. I’ve included some helpful information to know before going as well! The blooms are only on display from late February to very early April. Definitely check their site here beforehand to see if it’s Texas Tulips season. Fortunately for us late comers, there were still a few beautiful rows of tulips for us to pick from and where we could take photos. I read that they specifically plant late blooming tulips to make sure there are some for everyone, even late in the season. They supply cute baskets for holding your tulips as you pick them. At the end of your time picking flowers, you take them up to the counter to purchase the stems. The workers will set the stems in a flower transport gel to keep them fresh, then they wrap them up in pretty paper. Since the crowd had definitely thinned out by the time we arrived, we got to meet the owners who were so kind and even gave us an extra tulip from their garden with our bouquet. They also had free admission for closing day! They teach you how to pick the tulips properly, which is by pulling straight up on the very bottom of the stem. Flowers and bouquets shout romance to me! And like I mentioned earlier, we went to Texas Tulips for our three year anniversary! It was so fitting. This place offers an absolutely perfect date activity. We didn’t have an issue with lines since we went on the very last day. However, if you want to see the most tulips, you should go earlier in the season. The problem with that, of course, is that EVERYONE wants to see the tulips early on. From my research and looking at reviews, this typically results in a line of cars pulling in and a long line when entering and checking out. To avoid long lines, visit on weekdays if you can, or try to arrive as early as possible. Food stands, bathrooms, picnic benches- you’ll find all of these here. There is an entrance fee (this year it was $5), but you can pay in cash, credit, or debit card. You do pay an entrance fee for all ages! 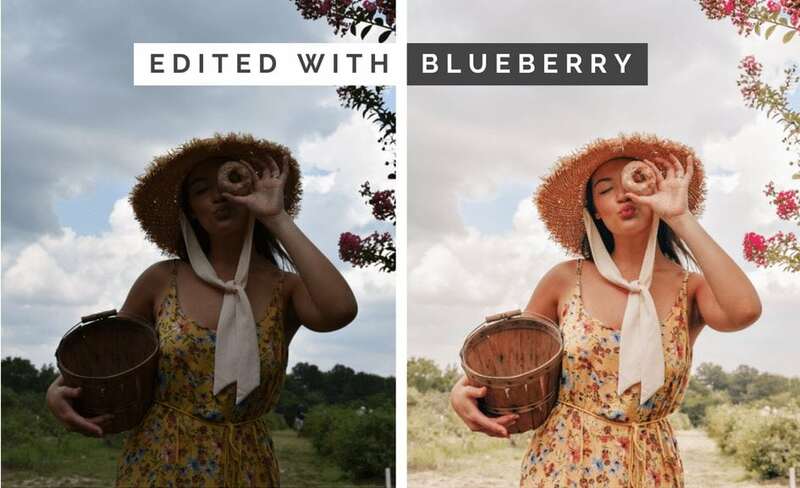 I know a lot of people wrote bad reviews because of this, but keep in mind that this is a local, family owned farm. This short season is probably fuels their income (just me speculating), so if we want to keep seeing their magical tulip farm each year, it’s money well spent! You are walking on dirt, so if it has rained the ground will be muddy. Dress accordingly! Bring sunscreen and sunglasses or a hat to protect your skin and eyes from that Texas sun. So if you haven’t gone yet, mark your calendar for March 2019!